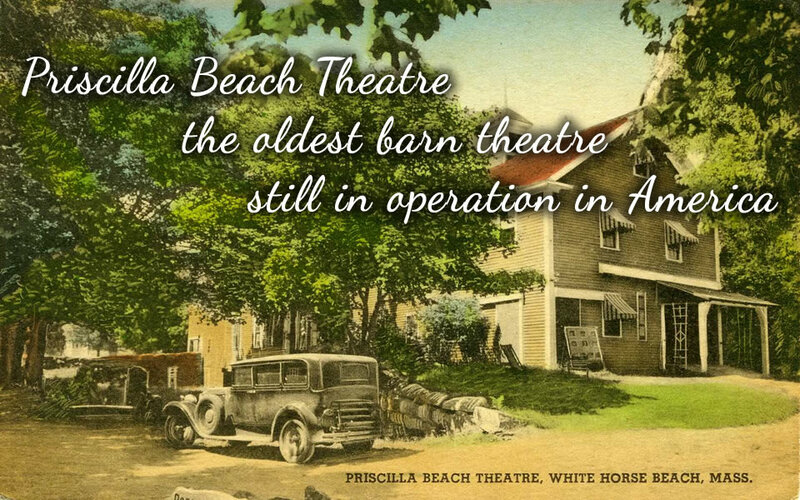 "Broadway In A Barn Since 1937"
Priscilla Beach Theatre (PBT), located in the Priscilla Beach section of Plymouth MA, is one of the original barn summer stock theatres in America. It was founded in 1937 by Dr. Franklin Trask and has been a rigorous summer stock training ground for generations of actors. Some of PBT alumni include Paul Newman, Pat Carroll, Sandy Dennis, Dan Blocker, Jean Seberg, Al Brooks, Rob Reiner, Kitty Winn, Peter Gallagher and Jennifer Coolidge. PBT produces six shows from May to October and houses a resident company of actors from all over the US on a two acre campus located one block from Priscilla Beach. In addition to professional main stage shows, PBT provides theatre training for children. © Copyright Pricilla Beach Theatre - All rights reserved.